Become a Math Champion now! Math practice doesn't have to be boring. Blackboard Madness – with its quick pace, varied problems, diverse levels and bonus rounds – makes working on your math skills fun and addictive. Practice makes perfect. 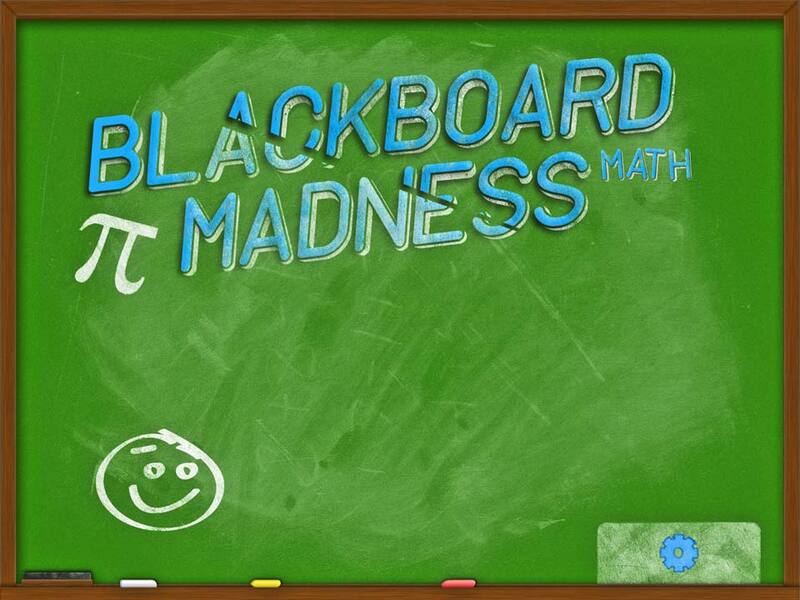 Play Blackboard Madness a few minutes each day and you'll see how easy it is to improve your math skills. You can even collect badges and achievements! Track your performance on your statistics dashboard. Think fast, react faster, but don't miss! Blackboard Madness doesn't just challenge your math knowledge, but also your reaction and coordination skills. stay up to date on any upcoming features and updates! © Mad Labs 2014 · All rights reserved.